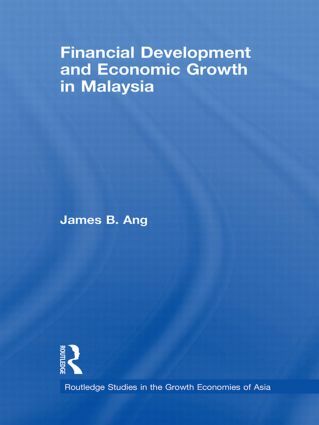 This book is concerned with the role of financial intermediation in economic development and growth in the context of Malaysia. Using an analytical framework, the author investigates the Malaysian economy from 1960 onwards to examine how far financial development has progressed in the course of economic development, and whether it has been instrumental in promoting economic growth. A significant improvement in the Malaysian financial system, coupled with rapid economic growth and a rich history of financial sector reforms, makes Malaysia an interesting case study for this subject. The author shows that some government interventions seem to have impacted negatively on economic growth, whereas repressionist financial policies such as interest rate controls, high reserve requirements and directed credit programmes seem to have contributed positively to financial development. The analysis concludes that financial development leads to higher output growth via promoting private saving and private investment. Shedding light on the evolutionary role of financial system and the interacting mechanisms between financial development and economic growth, this book will be of interest to those interested in economic and financial development, financial liberalization, saving behaviour and investment analysis and Asian Studies.